The mineral spring named Qinarjeh is situated 22 kilometers southwest of this city. Its temperature is 82 degrees and is one of the hottest mineral water springs of Iran. Also, Shabil mineral spring with a temperature of 49 degrees centigrade is a remedy for mental problems and also helpful in the treatment of gallstone and kidney ailments. The other well-known mineral springs of this region include Moeel and Malek Soiee that attract a large number of tourists during the spring and summer. 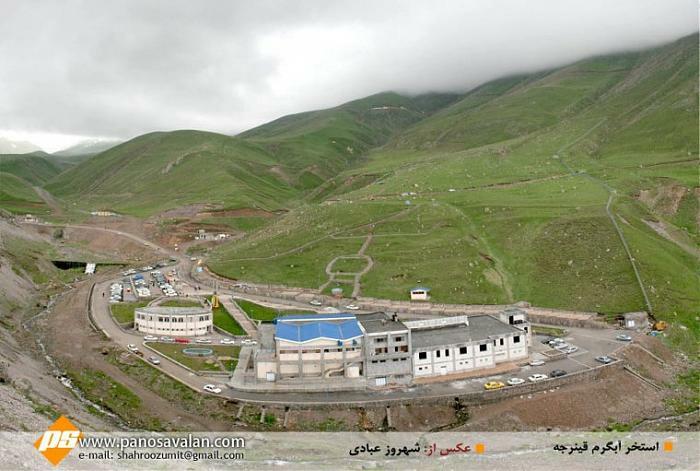 The mineral water spring named “Qinarjeh” is situated 22 kilometers southwest of this city. Its temperature is 82 degrees and is of paramount importance as the hottest mineral water spring in Iran. Also, the “Shabil” mineral water spring with a temperature of 49 degrees centigrade is a remedy for mental problems and is helpful in the treatment of gall stone and kidney ailments.